Tyler George. Courtesy of the photographer. 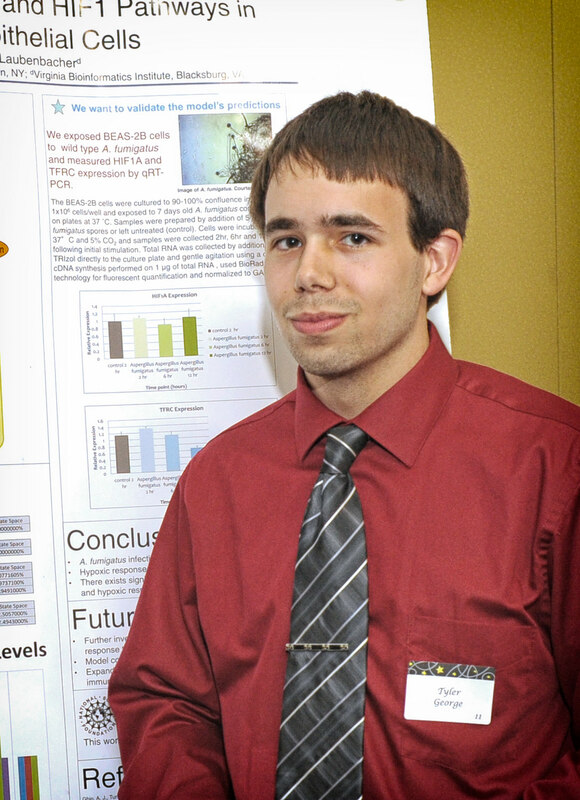 Honors alumnus, Tyler George, made the most of his Honors experience and succeeded in capturing the 2014 “Best Symposium” award for his presentation titled “A Dynamical Model Examining the Effects of NFkB and HIF1 Pathways in Asergillus Fumigatus Infected Airway Epithelial Cells.” Tyler is currently furthering his education at Binghamton University in New York, where he is pursuing a master’s degree in mathematics and, eventually, his PhD.